Ruff's a 3-year-old mixed breed dog. 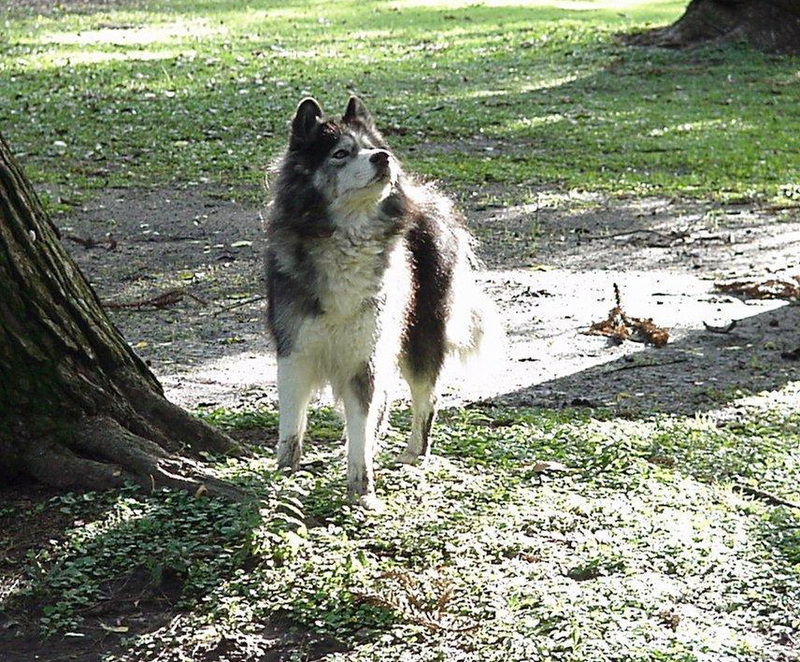 His owners took him to the park, where he was chasing squirrels, ran out into the road, and was clipped by a car, sustaining a fracture of his foreleg with multiple abrasions and contusions. He was brought to an emergency clinic, who cleaned up the wound, realigned the broken bones, and applied an external fixation device. 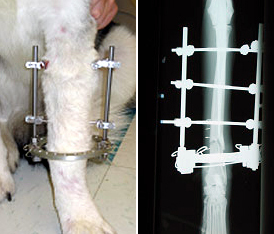 An external fixator allows stabilization of the fracture without placing permanent implants in the limb. Pins and wires are placed through the bone and connect to a frame outside the limb. As the leg healed, his owners provided daily wound care to the sites where pins and wires exited the skin. The external fixator was bandaged to prevent catching it on furniture and to prevent him from hitting people and objects with his fixator. Restricting his exercise was needed as well as antibiotic therapy to prevent infection. After 8 weeks, the external fixation device was removed and exercise further restricted for 4 to 6 weeks. Six months after the accident he is completely normal. 1. 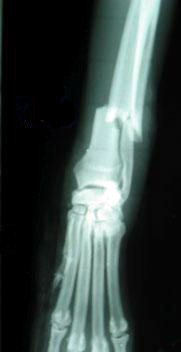 What properties and behavior of bone and its constituents are involved in the healing of this injury? 2. Why is a fixation of the fracture important? What would have happened if the fixator device wasn't used? Why would that have happened? 3. If the wound and/or the underlying bone had become infected, what might have happened? 4. Could this injury have been prevented? How?